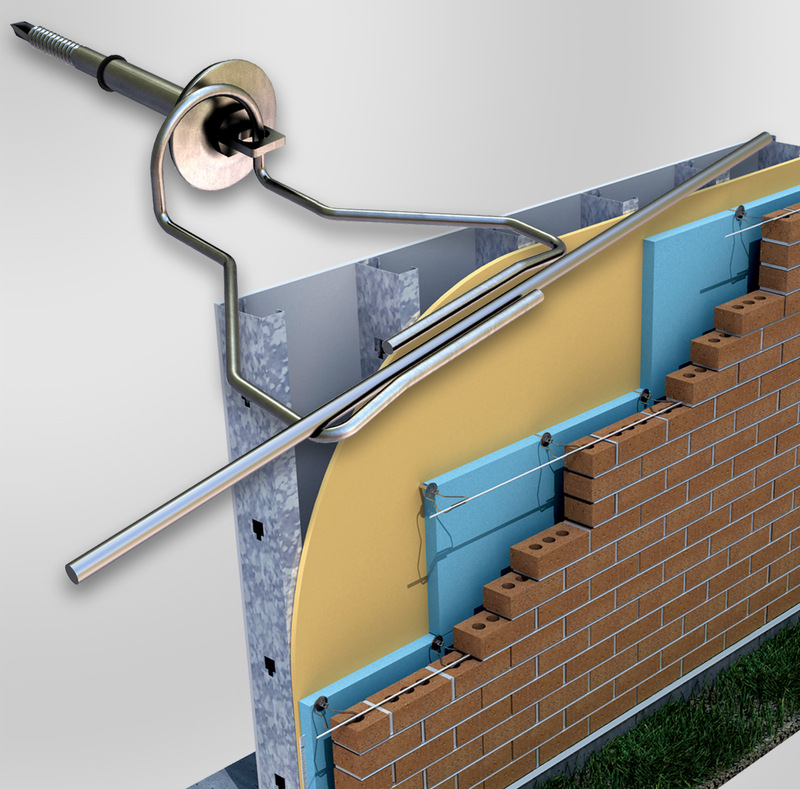 The ICF Masonry Anchor, an innovative new “through form” anchor, is a wire tie and plate combination system which provides adjustability, minimal free-play, strength, stiffness, positive connection, corrosion-resistance, and is test rated. 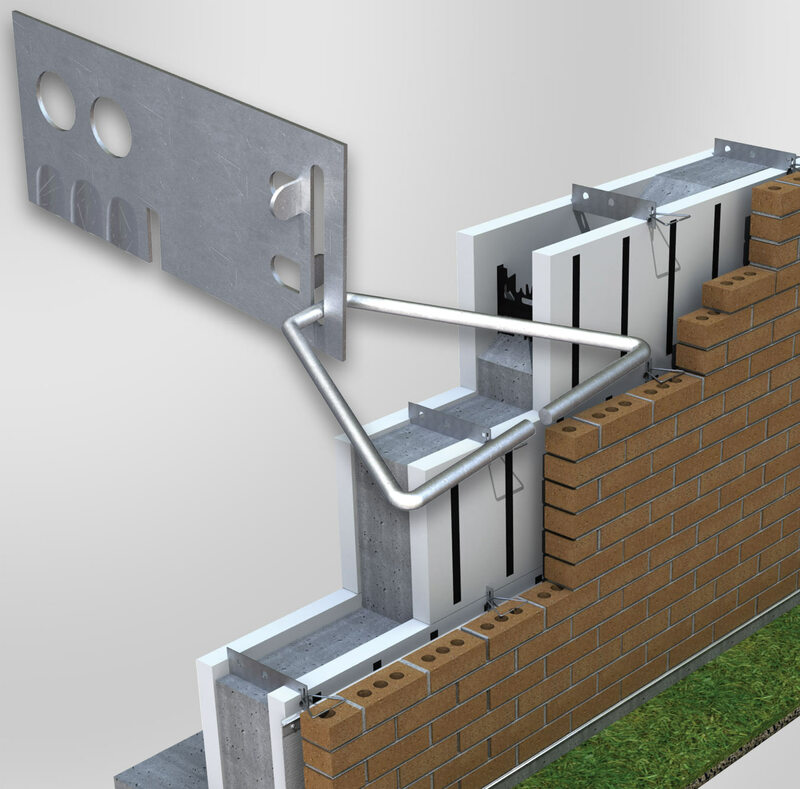 The anchor plate is designed to accommodate brick, stone, or precast panels. Cast in place installation. It utilizes a 4.76 mm (3/16 in.) 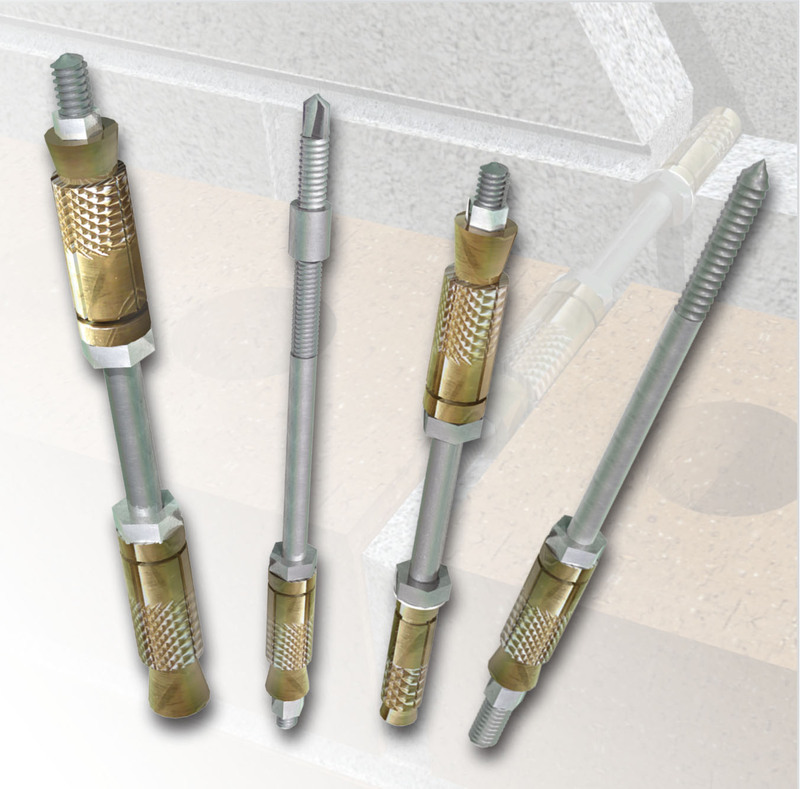 diameter Flex-O-Lok tie as a veneer connector. The anchor has a 50 mm (2 in.) vertical slot for alignment eccentricities, which can occur between veneer and backup. Base Plate: 16 gauge (1.5 mm). There is one thing you can count on with basements: given enough time, cracks will appear. Every crack tells a different story, but whatever the cause they need to be dealt with quickly, to avoid further damage. Concrete is used in construction projects all over the world, from roads and bridges to structural buildings. While itself a strong building material, concrete is often reinforced to increase that strength. The advent of innovative designs keeps prompting formwork manufacturers to come up with new and custom solutions to meet the needs of abstract projects. Contemporary architecture is dominated by complex geometries and ever-higher buildings, and the success of these projects depends largely on efficiency in the construction process.